Obituary for Carol A. (Schultz) Delbridge | Hamp Funeral Home, Inc.
Carol (nee Schultz) Delbridge, age 63, of Tonawanda, died Thursday, March 21, 2019 at Millard Fillmore Suburban Hospital after a long illness. Born March 4, 1956 in North Tonawanda, she was the daughter of the late Kenneth and Monica (nee Statt) Schultz. 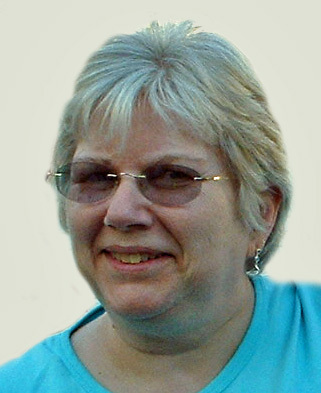 A lifelong resident of the Tonawandas, Carol was an Information Analyst at Fidelis in Amherst. She loved gardening. She was the wife of Scott M. Delbridge, whom she married in 1981; mother of David K. Delbridge and Kevin R. Delbridge, both of Tonawanda; and sister of Betty Schultz of Tonawanda, Jean (William) Benzin of Dover, Delaware, and George (Laverne) Stockham of Cincinnati, Ohio. Also surviving are several nieces and nephews. The family will receive friends from 5-7 PM on Wednesday only at the HAMP FUNERAL HOME, Inc., 37 Adam Street at Seymour, Tonawanda. Inurnment will be cared for at Elmlawn Cemetery, Town of Tonawanda, at a later time. If desired, memorials to the National Multiple Sclerosis Society, 4245 Union Road, #108, Cheektowaga, NY 14225, are preferred by the family.